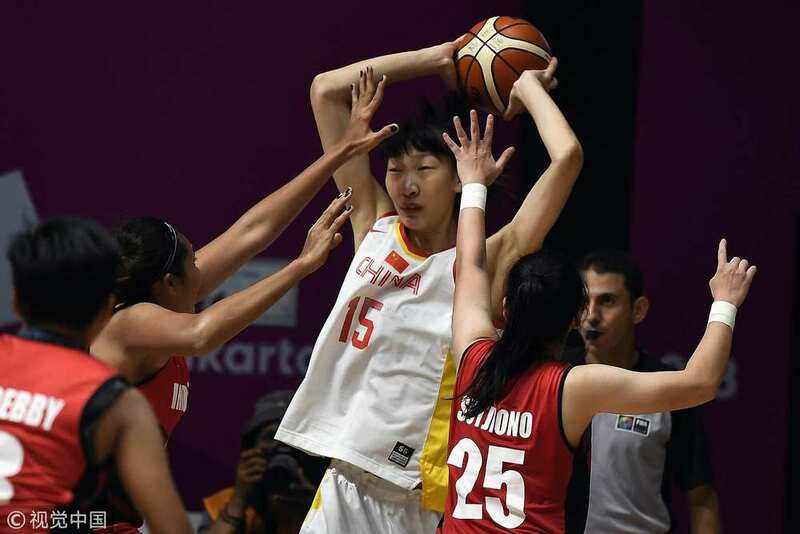 Han Xu at the Women's Basketball quarterfinals match between China and Indonesia at the Asian Games, on August 26, 2018, in Jakarta, Indonesia. China's Han Xu was drafted 14th by the New York Liberty in the WNBA draft on Wednesday. The 6-foot-9 center became the first Chinese player drafted since 1997.